Why use plastic if it's not necessary? 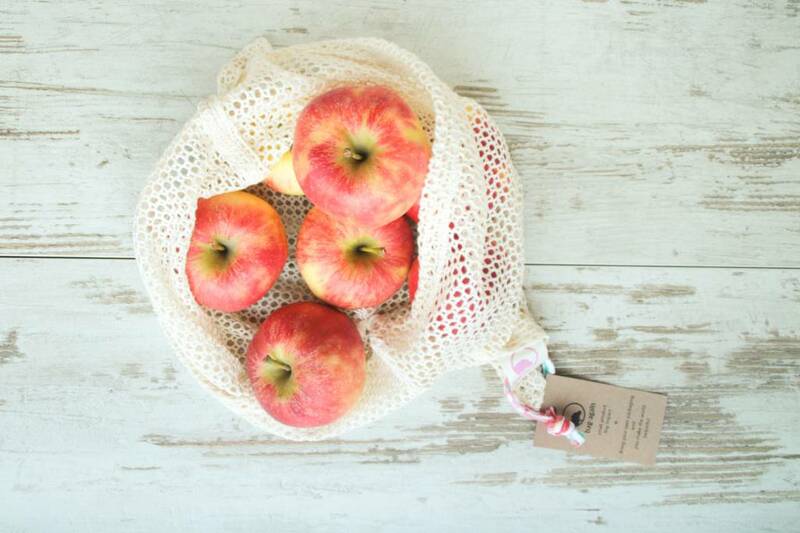 Those mesh bags from organic cotton are a good alternative to put in your fruit and vegetables from the supermarket - though we admit: they do weigh a few grams more than a plastic bag (40gr). 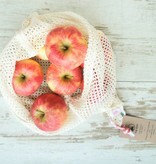 Nice too for storing your fruit and vegetables: just hang them on a hook in kitchen or basement.